Galacta Redesigned. 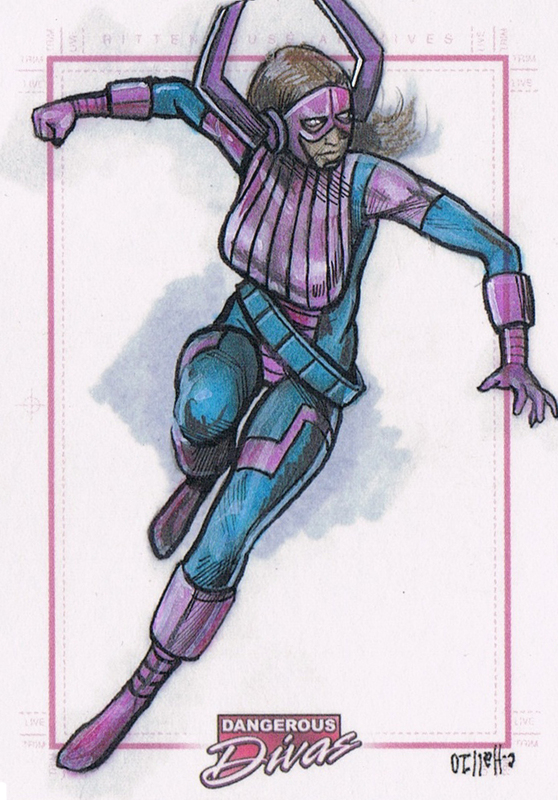 | The Sketchcard Saloon. ← The Mightiest Gifs From The New Avengers Trailer. 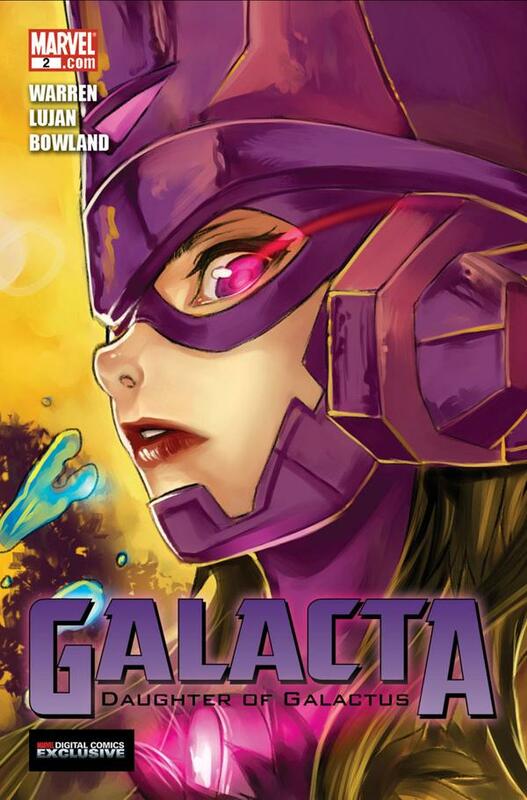 That is the first issue of the Marvel Comics Galacta mini-series. It was available only as a digital comic, no paper. 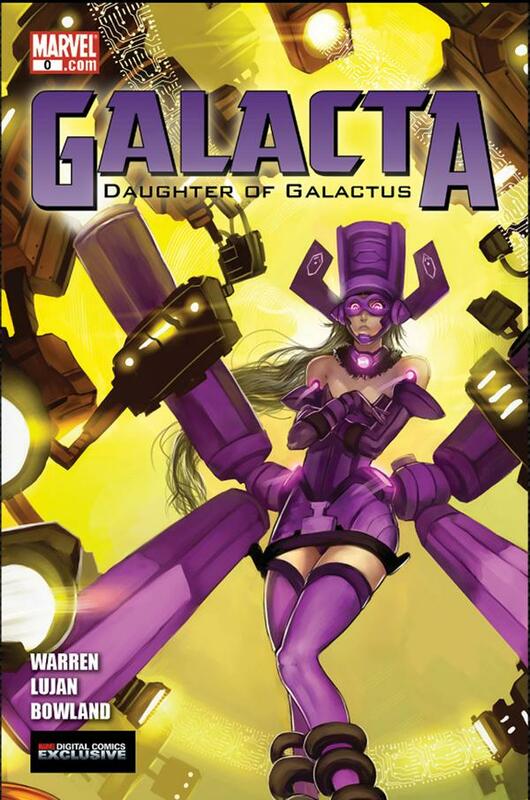 She is the daughter of Galactus, and she contemplated the creation of a living planet with Wolverine’s healing powers as an infinite source of food. While that is a decent idea, her costume is a bit corny. Purple candy corny. Enter Charles Hall. 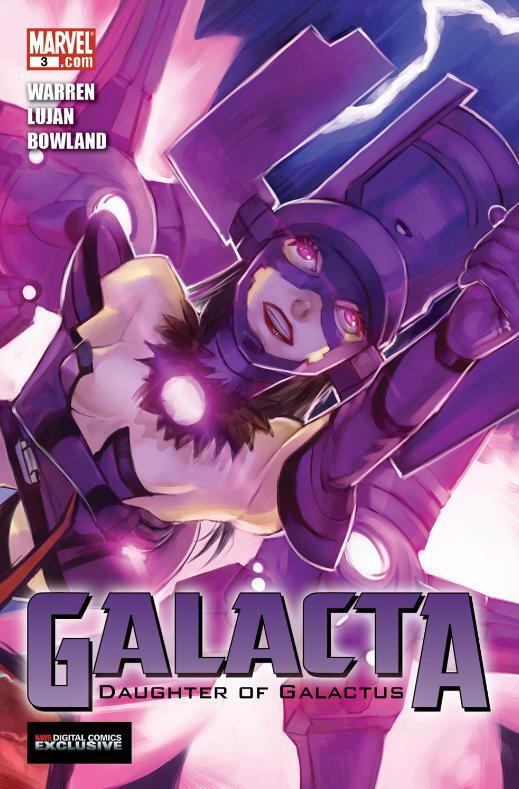 When given the green light to redesign any female character in the Marvel Universe, our hero set his sights on Galacta. And he scored. 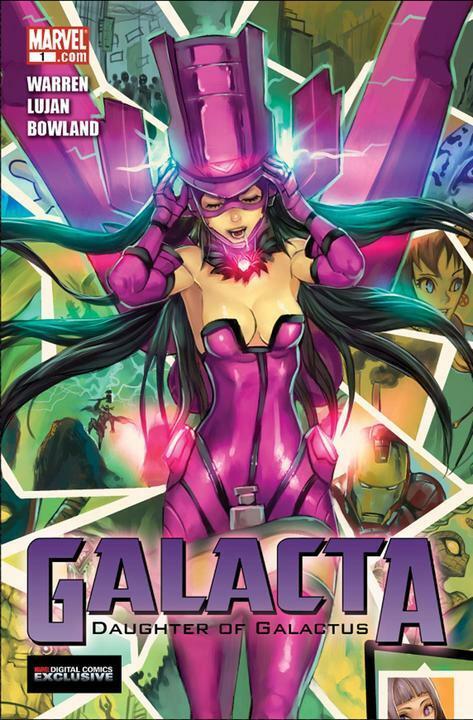 This entry was posted in Character Studies and tagged Charles Hall, Galacta, Marvel redesign. Bookmark the permalink.